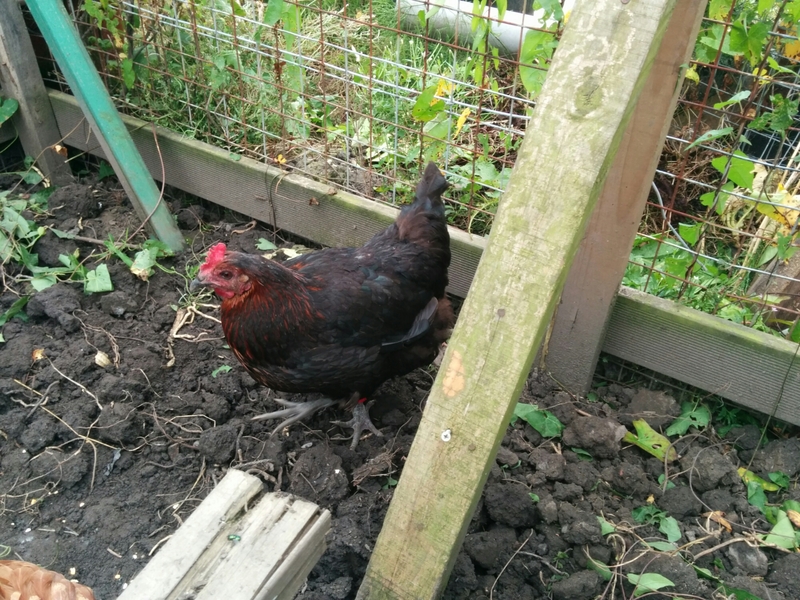 Keeping chickens is increasingly common, with many people looking to have fresh eggs every day with the bonus of having new pets that can happily live in the back garden or allotment. 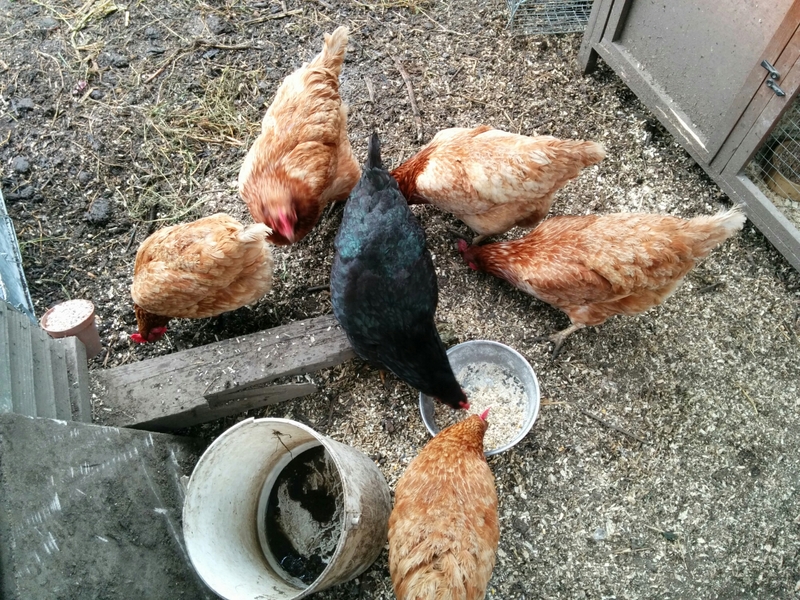 Although chickens can get all the nutrients they need from layers pellets, they do enjoy a range of other foods. We feed ours porriage oats, sunflower seeds, split corn and occasionally a slice of brown bread or meal worms as a treat. They also require greens, usually in the form of grass or weeds (often in abundant supply from spring to summer), or if you are feeling flush, lettuce or spinach bought from the shop (we resort to this in the winter). Along with pellets, they must always have access to grit and fresh water. The fresh water speaks for itself. This should be changed every day, you may want to put in a small amount of cider vinegar as this helps kill off any nasties in their digestive system. 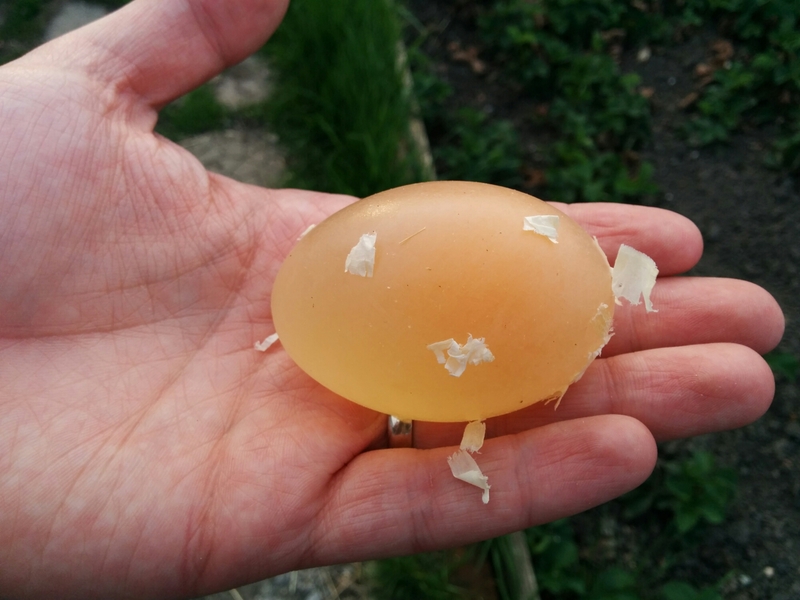 The need for grit only becomes apparent when you get an egg that looks like this…. 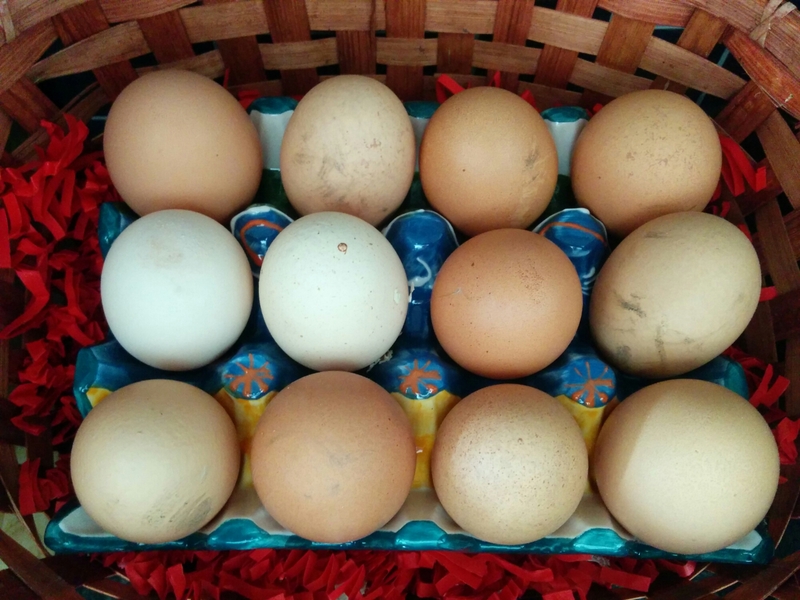 Basically chickens use the grit not only to grid down food in the stomach but as an essential requirement to make the egg shell. 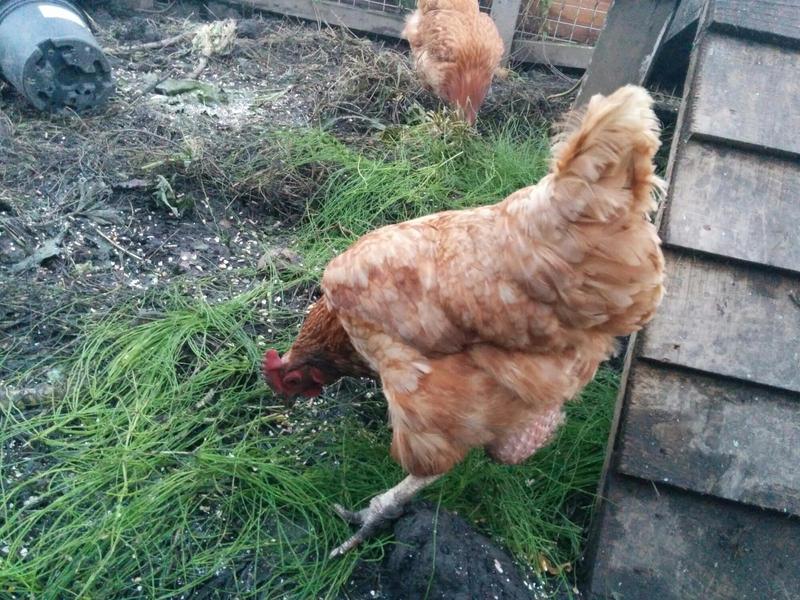 Give the chickens grit either in their food or put it out in a pot for them to go to when they know they need it. 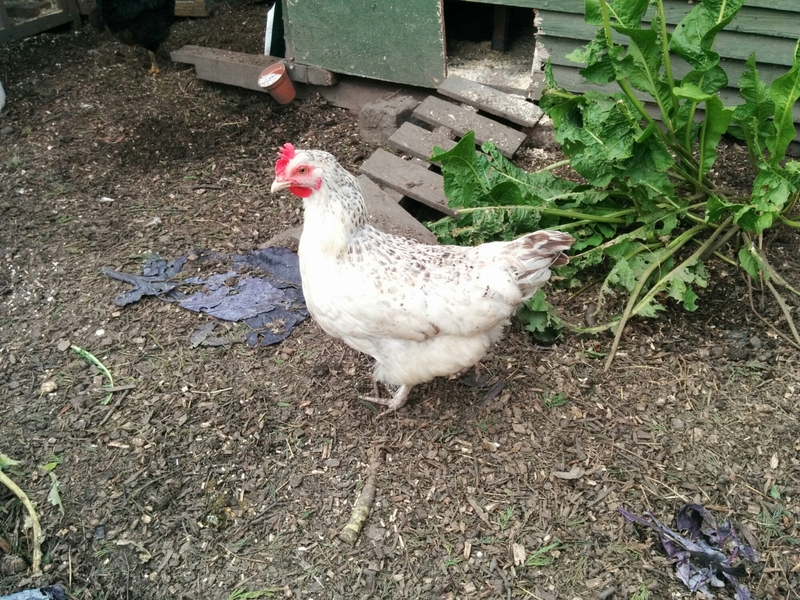 Some people keep their chickens for 2-3 years before moving them on as they wish to keep egg production high. 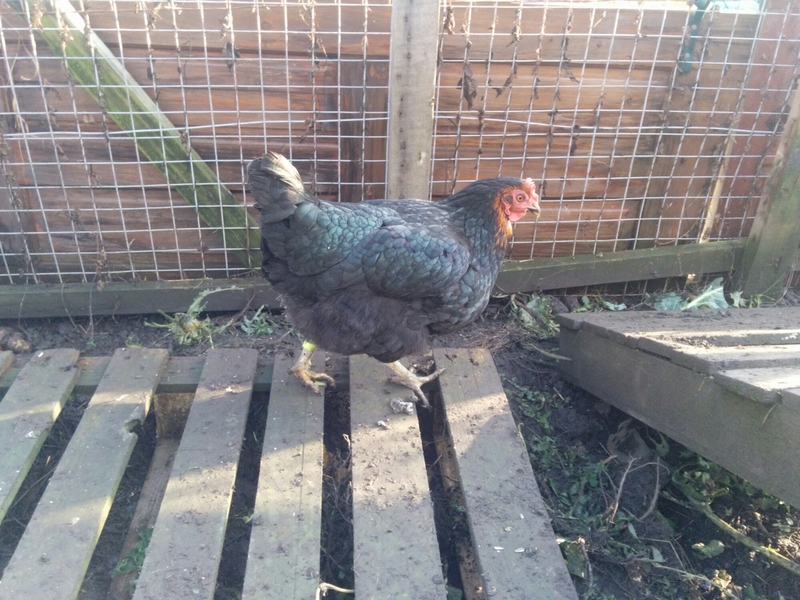 We have taken a slightly different approach, expanding our flock to include 4 chicks who will keep up egg production whilst the older chickens wind down. Plus it seems a little ungrateful to move them on the second they stop laying as often as you wish. We are known as a retirement home for chickens! 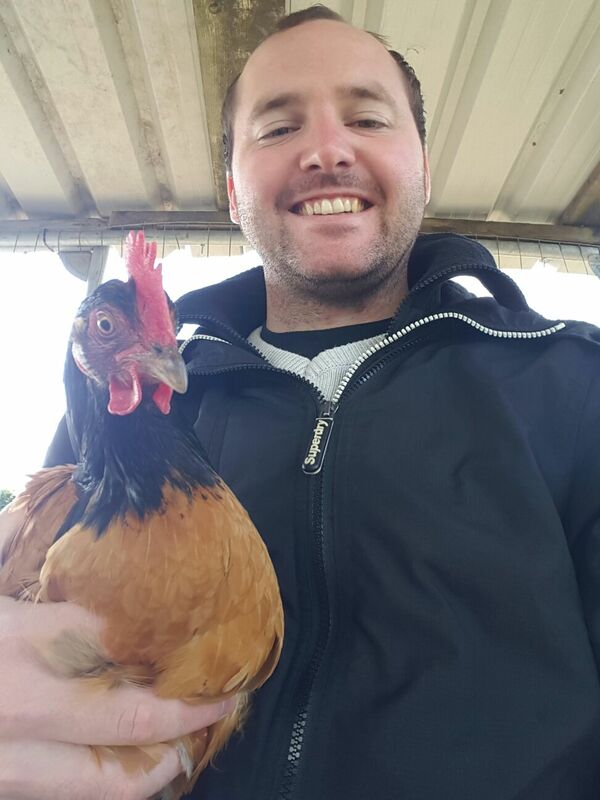 Of course, whether you rotate your flock or keep them depends on whether you keep chickens for the eggs or as pets with the added bonus of eggs. Keep a close eye on their nest box and bedding as these areas can easily harbour mites. These mites multiply rapidly, preferring to live on the chickens, weakening their immune system until they die. 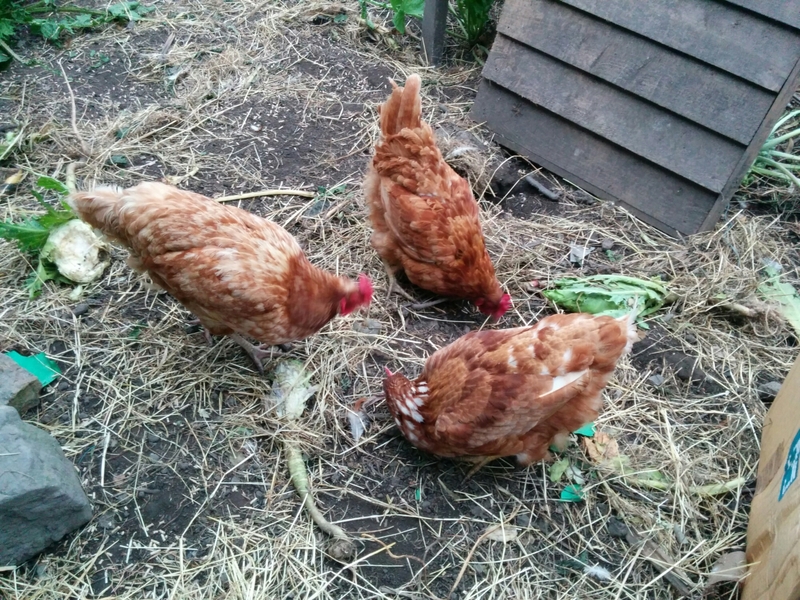 Regularly pick up each chicken and check under the wing in the triangular area between wing and body. If you find mites, remove them before using a generous amount of diatumous earth in the area, rubbing it into the skin and on the feathers. Once each chicken has been dusted, remove all bedding from the nest box and proceed to spray the area (ensuring all chickens are kept away and that you are in a well ventilated area) with anti-mite spray. Dowse the nest box thoroughly and leave it to dry for at least half an hour. When the nest box is dry, place diatumous earth on the base of the box before adding in the new bedding and putting a final sprinkle of diatumous earth on the top. Keep a very close eye on the chickens and the coop over the next few days to make sure the mite population is decreasing or has been eliminated. Two years ago, we suffered with a massive mite infestation. We spent days repeatedly dowsing chickens and the shed alike to try to make a dent in the mite numbers. It took over a week, three bottles of diatumous earth and 4 cans of anti-mite spray but we finally got on top of it!